Home JAMB JAMB UTME 2017: After JAMB Result Is Out, What You Need To Do! JAMB UTME 2017: After JAMB Result Is Out, What You Need To Do! Joint Admission Matriculation Examination, JAMB UTME 2017: What You Need To Do After JAMB Result Is Out. Hello Jambites, you definitely have to know that there is a life after Jamb and your released result whether you passed in flying colours or not. As you all know that your pre-requisite into the University in Nigeria is the Joint Admission Matriculation Examination, hence the need for the examination. Our focus in this publication is to help students on what to do and what not after they have seen their 2017 JAMB result. Education here in Nigeria is extremely crucial and as a result students at all cost try everything within their capacity and capability to get into school either due to peer pressure or pressure from parents, it’s very important to understand that you have to do things right in other to secure your place in the merit list of universities. You don’t want to wait until next year. 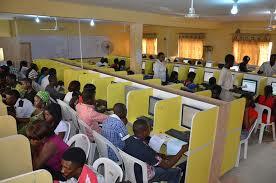 After your UTME, the next step is the examination known as the Admission Screening/Post-UTME. Now, this is where you have to get it all right if your score in JAMB is not as high as expected. Annually, the Joint Admission And Matriculation Board releases the cut-off mark for getting into the Universities and it is mostly placed around the 180 mark. Although most universities obey this, it has become a custom for top most universities in Nigeria to peg theirs around 200. Hence, the need to get way up above the 200 mark so as to make you one step into the university. For your Admission Screening/POST-UTME, you have to find out what the JAMB/School cut-off mark for your chosen school is. Most of you whose school is outside their state have to either make calls or visit these schools to know what is going on as regards the Admission Screening/POST-UTME. Although universities have online platforms where they update prospective students with information as regards the date of the upcoming examination, it is just very expedient that you as a student should visit the school in question to get first-hand information as regards whatever you need to know. Moreover, especially the students that have to travel miles, to other states the Admission Screening/POST-UTME exams, you should visit your school few weeks before the exam to get acquainted with the school and it’s environs. Sometimes, as it were in the case of my days, you have to stay over in the school after your examination (on the day you write it) as you might be slated for morning or noon or a lil bit into evening depending on the amount of students writing the particular course or examination whatsoever. Also, it’s a very rich experience to get a view of the school you want to get into. Not only will you feel fulfilled from the sights and scenarios of a university, you’d definitely be updated as to how and what the university life is all about, you’ll be inspired to want to do more. Also, make sure you have every print-outs you are supposed to have if possible a week before your screening examination. This tactic keep your mind at rest and help your concentrate on other related issues. And make sure you have them kept in a safe enclosure after multiple photocopies have been made. God forbid, in case of an unexpected circumstance where you lose the printout, your already made photocopy perhaps will save the day. Before the D-day of your Admission Screening/POST-UTME, you have to check and uncheck. Put things that are needed to be in place, and check for things that you are missing. Make sure the materials you need for your movement and examination is in place. On the day of your admission screening, say a word of prayer and believe (although it is advised to cultivate this habit all the time), dress properly, be of good behaviour, have your Admission screening/ POST-UTME printouts with you only. Take the aforementioned advice and publication into consideration and be sure to have a fabulous result, as well as a place in your chosen university! Have a great and fulfilling career. MY9JAEDU always wish you goodluck!! !